On the Butler and Hill store we have a unique range of personalisable gifts that will make a meaningful gift that you can tailor to the recipient. We have put together all the products that are most popular on our store to give you some Gift Inspiration. This is what our customers are loving on the Butler and Hill shop. We firmly believe that the best way to make a quality item is to make them by hand, and that’s what our talented craftsmen and women do at our Workshop in Devon. You can create something truly one-of-a kind for that special someone. Here we have picked out some of the most popular items on the store at the moment. Take a look and see if you can find the perfect gift. If you know someone who loves maps and jigsaw puzzles they would LOVE a personalised map jigsaw puzzle. 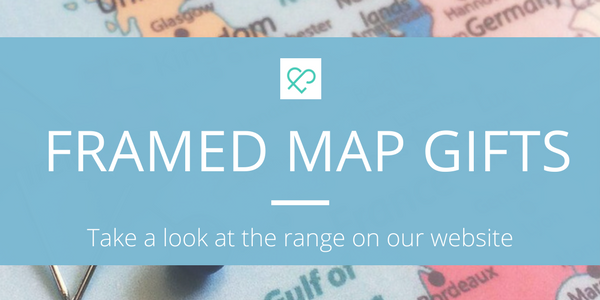 What is a Personalised Map Jigsaw? A map jigsaw from Butler and Hill is completely unique with a distinctive house-shaped centre piece based on the special address in your life. The centre piece of the jigsaw could represent where the recipient grew up, or where their new home will be or where home is now. As we custom make each jigsaw for each customer and we ensure that that the jigsaw is of the highest quality, these do take a little longer than an off-the-shelf jigsaw. However, it does mean that you will give a completely unique gift in a lovely blue box that you can write your own message on. We have recently revamped our website and it’s now even easier to order. Select the number of pieces: 400 or 255 piece jigsaws, then the map style you would like. (See below for more information on map styles). Then type in the house name or number and street and the postcode and add to basket! Choose from one of five intriguing map styles: The Ordnance Survey Landranger and Streetview Mapping bases are available for all of mainland Great Britain. The Victorian and Aerial bases are available for England and Wales only. The London Street map base is available for Greater London inside the M25. Click on the “Info about mapping styles” link for more information. This personalised product is handmade to your personal specification and will usually be delivered within 7 working days.